The red lines show the shoreline as depicted before the updates. NOAA cartographers are applying the corrected shoreline and feature positions to the new chart and new editions of current charts in the Great Lakes. under the direction of Marine Chart Division branch chief Andy Kampia. Vessel operators transiting St. Mary’s River, between Lake Superior and the lower Great Lakes, have a new nautical chart to help lessen the dangers inherent in this narrow and complicated waterway. The first edition of Chart 14887 (St. Marys River – Vicinity of Neebish Island) is available this week as a paper print-on-demand chart, PDF, and raster navigational chart. The electronic navigational chart will be available by March, in time for the beginning of the shipping season. Coast Survey has built the chart from original sources, providing the highest standard of accuracy for hydrographical and topographical features and aids to navigation. The chart provides large-scale (1:15,000) coverage of the up bound and down bound channels of the St. Mary’s River – one of the busiest waterways in the nation. Over 4,100 transits of commercial and government vessels move about 75 million tons of cargo through the 300-day shipping season. At the 1:15,000 scale, the positions of many of the features were corrected an average of ten meters from positions in prior charts, a vital correction for precision navigation by vessels that can exceed a thousand feet long. 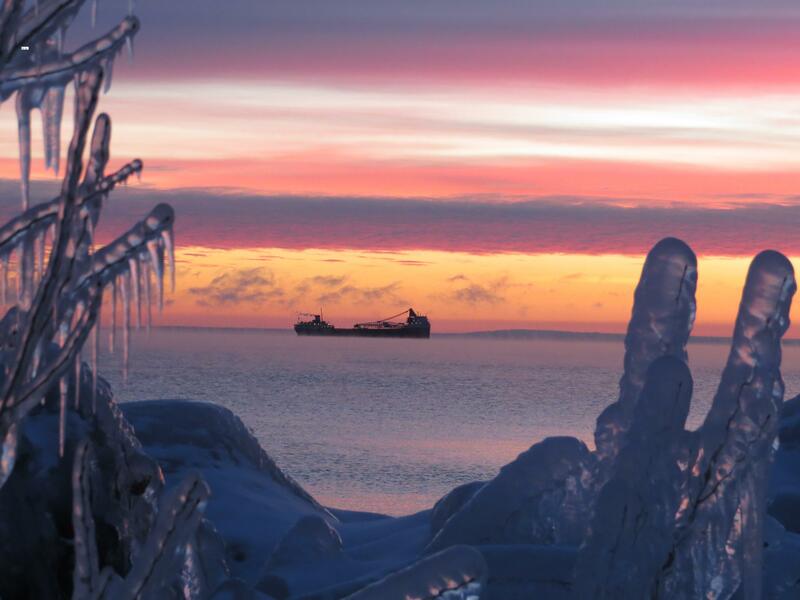 carrying iron ore on Lake Superior. Photo courtesy of Carolyn St. Cyr. Coast Survey also plans to issue new editions of the current four largest scale charts of the St. Mary’s River in late January. 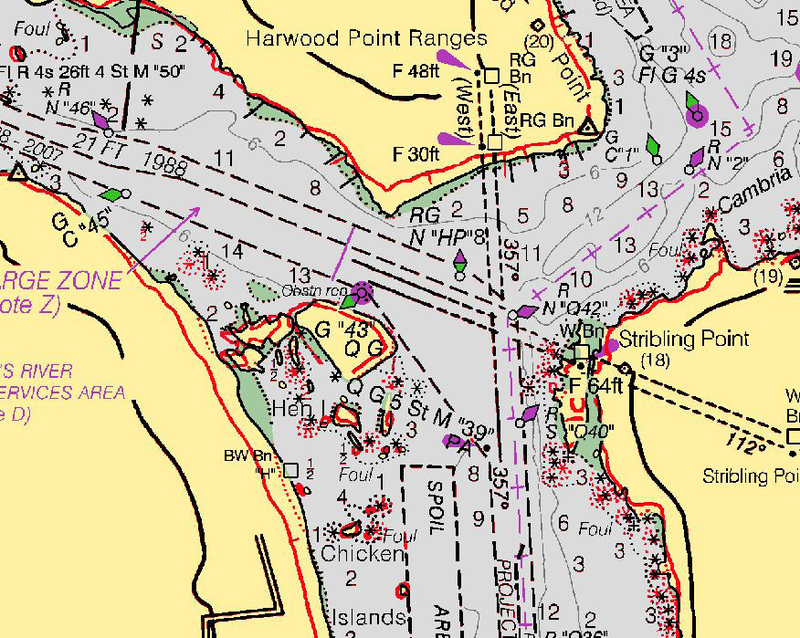 Charts 14882, 14883, 14884 and 14962 will have all new shoreline, updating the locations of features and aids to navigation. These updates for the St. Mary’s River follow 21 new editions for Great Lakes charts from Buffalo to Thunder Bay Island, around the Lower Peninsula to Milwaukee Harbor and Ludington. More updates are slated for 2014 and 2015.